Self-described rebel Mia Yim has been knocking opponents into oblivion around the world for nearly eight years. 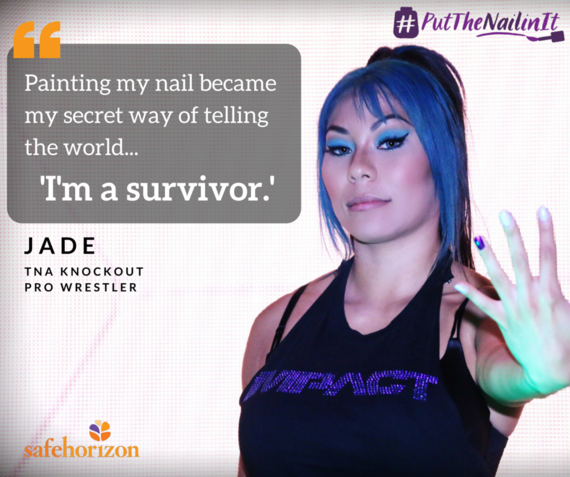 A lifelong wrestling fan, Mia Yim followed in the footsteps of her in-ring idols Lita and Chyna, as well as legendary Japanese wreckers like AKINO and Aja Kong, when she decided to pursue sports-entertainment. With eight tours of Japan and dozens of appearances in SHIMMER Women Athletes and Shine Wrestling under her belt, Yim has a wealth of experience. She also boasts a second-degree black belt in taekwondo and training in Muay Thai, making her as dangerous a striker as you will see in the Mae Young Classic. In fact, Yim compares herself to the legendary Street Fighter character Chun Li, whose lightning-quick attacks have made her a favorite of gamers everywhere. If Yim has her way, it will be game over for the Classic’s 31 other grapplers when all is said and done this summer. Tessa Blanchard & Vanessa Kraven defeated WDSS (Mia Yim & Kay Lee Ray) to retain the SHIMMER Tag Team titles. Mia Yim defeated Kay Lee Ray via package piledriver to become #1 contender for the SHIMMER title. Mercedes Martinez defeated Mia Yim to retain the SHIMMER title via Dragon Sleeper. Hudson Envy defeated Mia Yim via Muscle Buster. During Rosemary’s entrance. Jade wastes no time and heads directly to the ramp way to start brawling with Rosemary. When they get back to ringside. Jade gets into the ring and then leaps onto Rosemary with a suicide dive. Moments later, Jade attempts a package piledriver on Rosemary but it gets blocked. Both women go through reversals and counters until Jade hits Rosemary with two straight german suplexes. Referee Earl Hebner makes the matches first official standing 10 count. When Rosemary eventually rises to her feet. Jade knocks her to the outside with a missile dropkick. She then attempts another suicide dive but this time, Rosemary strikes her in mid-air with a forearm. Rosemary then introduces weapons into the match when she throws a trash can and kendo stick into the ring. Jade picks up the Kendo stick and attempts to strike Rosemary with it, but she is unsuccessful. Rosemary then roughs up Jade for a bit. She sets her near the ropes and gets Jade in a modified tarantula submission using the ring ropes. Rosemary then strikes Jade repeatedly with the steel trash can. Jade falls into the corner and Rosemary sets up the trash can next to her. The first five minutes of this match are in the video below. Rosemary now leaps from corner to corner to hit The Van Daminator on Jade. Moments later , She tries to strike with the trash can. Jade battles back and starts striking Rosemary with the kendo stick . Shen then lands a punt kick on Rosemary. Jade follows that up by power bombing Rosemary onto the trash can. The standing count begins by Hebner and Rosemary makes it to her feet at the count of nine. Jade attempts to leap off the top rope but Rosemary spews her mist at her in mid-air. With Jade now blinded from the mist. Rosemary hits The “Red Wedding” on her. Jade is able to beat the standing ten count, but when she gets to her feet. Rosemary lands a sharp elbow that sends her to the outside. Rosemary then picks up Jade and hits the Red Wedding again, this time on the ringside floor. Jade is once again counted down. This time, she gets back to her feet by using the ringpost. When Rosemary sees this, She charges at Jade, who moves out of the way and Rosemary ends up running into the ringpost instead. When Rosemary gets up, She attempts to retreat and head back into the ring. Jade stops her by spewing water into her face. She then grabs Rosemary and power bombs her onto the ring side steps. Rosemary is counted down but is able to get to her feet at the last second. Jade now grabs Rosemary and they head to the stage area. Jade attempts to power bomb Rosemary there. Rosemary counters and spews her again with her mist. An exhausted Rosemary then hits The Red Wedding for a third time in the match. This time on the stage. Both women are down for the count. Rosemary makes it back up right before the count of 10 and secures the victory. Back in The Impact Zone, The former Knockouts Champ Jade is in the ring. She calls out Rosemary and says that the red vs blue feud is not over yet. Rosemary tells Jade that instead of trying to save the Knockout division from the darkness. That she should just save herself. Jade grabs the mic away from Rosemary and tells her that she is not done with her yet. That she risked it all in their cage match against each other, and now she is prepared to risk it all again, in a last knockouts standing match. Rosemary accepts Jade’s challenge. She offers to give her one more dance with the demon. Jade makes her way to the ring dressed in street clothes. Rosemary then makes her entrance to the ring. She is without The Decay and comes out to their new entrance theme. When Rosemary reaches ringside, Jade flies through the ropes and lands on her. They battle on the rampway, Jade misses a clothesline and gets hit with one instead by Rosemary. She then throws Jade and a trash can filled with weapons into the ring. Rosemary goes to work on Jade with the weapons. First a trash can lid and then a kendo stick. In between, Rosemary attempts to pin Jade for the victory to no avail. She then goes to the outside and gets a bag of tacks out from under the ring. She dispenses of the tacks onto the mat. Rosemary attempts to suplex Jade onto the tacks but she counters out of it. Jade hits a missile dropkick on Rosemary, that sends her crashing into the corner. She follows that up with a cannonball dive. Jade now takes off her belt and whips Rosemary with it. Shen then hits a crawling Rosemary with the kendo stick repeatedly. Jade starts playing to the crowd and pays for it, when Rosemary picks up the trash can and nails her. Rosemary now ascends to the top rope. Jade gets up and throws the trash can at Rosemary. This knocks her down to the mat. Jade then german suplexes Rosemary onto the thumbtacks. She then covers for a close pinfall. Jade now goes for the trash can lid. Rather than use it as a weapon, She ends up using it as a shield when Rosemary attempts to spew her with mist. Jade throws the lid at Rosemary and then kicks her in the head. She covers her for another 2 count. Jade goes outside the ring and brings a table into the ring. Rosemary has now recovered and greets Jade with a suplex, when she returns to the ring. Rosemary now goes under the ring and gets out a barb wired board. She attempts to hit Jade with the “Red Wedding” on top of it. Jade counters and pushes Rosemary on top of the barbed wire. Jade covers Rosemary but she kicks out. Jade now lays the barb wired board on top of Rosemary. She then hits a moonsault on top of the board smack into Rosemary’s body. It takes Rosemary a while to get out from under her predicament. While this is happening, Jade sets up a table in the center of the ring. She sets Rosemary on top of it, and heads to the top. She calls for a 450 splash. Rosemary gets off the table and meets Jade up top. Rosemary superplexes Jade through the table, and pins her for the victory. After the match. Josh Mathews says that women’s wrestling has been taken to a whole new level in the last 6 or 7 months. No matter what particular night that the fans watch it on. Mathews says that tonight’s monster’s ball match just set a new bar for a new standard in women’s wrestling. Gail Kim heads inside the ring to check on an injured Jade. While she is tending to Jade. Rosemary slithers back inside the ring and spews purple mist into the eyes of Gail Kim. Gail writhes in pain in the ring, while Rosemary clutches her title and cackles on the outside.